August 9, 2018. DREAM. El Morya/Mark, Chohan of the First Ray, convened an urgent strategy session. Present were ten or twelve other staff members and myself. In an open discussion, we brainstormed ways to advance the Second Coming program. Basically, the plan of action we agreed upon revolved around two First Ray principles: eliminate the negative and pronounce the light. Light workers must overcome error and negativity at every turn, and implant positive projections of light and truth in all conditions on Earth. Thus, with the strategic use of the First Ray sword of truth — eliminating the negative and pronouncing the light — we advance the program for Sananda’s Second Coming and the return of all to Christ consciousness. Satisfied with the plan, El Morya/Mark adjourned the meeting. Photo: El Morya/Mark, 1966, Mark-Age Archives. FREEDOM IS THE THEME OF OUR BROADCAST. Let us work on inspiration coming from my high Self; giving my high Self the freedom to express those things which seem to my high Self to be important for broadcasting this now. Then may it trigger off within your own consciousness the thoughts your I Am Self would have the freedom to inspire in you for amplification and for further expansion of this theme of freedom for each and every person on Earth. If you will spend a little time thinking upon the thought of freedom for everyone, you can see there is a tremendous amount to it. We are interested, in the spiritual sense, in freedom for all persons on Earth to expand, to express, to develop, to unfold, to utilize their spiritual heritage and to express the Christ Self within each and every one. Therefore, we are interested in the secular governments of the world that will give people this opportunity to develop spiritually. Unfortunately, there are not many, if indeed there are any, governments which are concerned primarily with giving people the opportunity to express spiritually. Rather, they are concerned with telling people what they may or may not do in a material sense, in a moral sense; and, above and encompassing all, in a legal sense. Far too often, seemingly almost all of the time, in man’s history upon Earth, at least in our recorded history, has there been a policy of what a few people think other people should do to adhere to the thoughts, the ideas, the goals, the private interests of those few people in power. It has not been predominantly by any means yet, but it will be, the theme for government leaders to be concerned with the spiritual freedom of the people involved. Nevertheless, in our light work for the Second Coming we must begin to work where we are. Therefore, we broadcast the theme, for those who lead the governments of the world, that those in materialistic power give heed and credence to the spiritual expression of the individual person. It is a theme of government in a number of nations that a person be free in his or her religious convictions to follow them or not to follow them, as the case might be. This is well and good to a certain extent, but it is not the ultimate by any means. For we are concerned in the Second Coming preparations, in the formation of the I Am Nation upon Earth at the coming of Sananda and thereafter, to have those people on Earth who are interested only in the spiritual ongoing, the spiritual heritage, talents and powers. Therefore, at that time there will not be a choice either to be spiritually interested and inclined or not to be so inclined, for those who are not so inclined no longer will be upon the Earth. So, here is another definition or aspect of freedom. What we are interested in upon Earth after the Second Coming is the freedom for man on Earth and in the astral planes about Earth to follow spiritual unfoldment and direction, not to go to the opposite direction of materialistic ways. We start where we are and work toward the visualization of governments allowing man to have freedom of religion, in the sense of no persecution because of one religion or another, no forcing of one religion or another upon anyone. Therefore, we must have also at this time, as Spirit does allow at this time still for man of Earth, the option of following the spiritual path or not being upon such a path. We are interested in seeing man of Earth with the ability not only to be free to follow spiritual expression but also to be free to have the time, the energy, the means to subsist on the Earth plane while engaging in such freedom of expression. This means man should not have to devote all of his time, energies, thoughts, actions, resources merely to subsisting, to buying the necessities of life, to providing a comfortable life, and even having some luxuries. Also, he should not have to spend a great deal of his time in paying the expenses for other people to do things they want to do, through unjust or disproportionate taxation, high prices for goods, and what have you. He should have the freedom to be able to devote a large part of his life — and that of his family also, if he has a family — to having the leisure time to develop some of the finer things of life. This definition of following a spiritual life includes many of the finer pleasures of life, too, not just following a religious or spiritual teaching all the time, learning things of that nature; but rather, doing, expressing the spiritual talents within. We are interested in the aspect of freedom for all people to be able to spend time following some of the thoughts, the things of spiritual freedom; not only individually and with their family and friends but also on an overall local, national, international basis. Man should not have to have all of his time, all of his newspapers, radio and television devoted to other things; but rather to have freedom to insist upon, and therefore to acquire, some of the spiritual expressions of life through various means and the media which bring news, information, education to his attention. There is another aspect to the idea of spiritual freedom. We say we would like to have freedom for all people of Earth. But can we have that at this time, really and truly? No, because there are too many people who are not interested in properly utilizing this freedom, even from a materialistic let alone a spiritual standpoint. Instead, they would like to subjugate other people, to steal, to rob, to commit all kinds of crimes upon other people. Therefore, we cannot have those people enforcing their freedom upon us, or infringing upon our freedom. Again, we must start where we are. We must visualize freedom for all people to follow spiritual expression only, in times to come. Now we must concentrate on denying complete freedom to do what they want, to those people who would utilize such freedom against others who properly are using liberty, independence and freedom. Again, we must look to man-made laws at this time to restrict the movements and the freedom of those people. Now let us get it down to a more personal aspect. In this we will do our meditation and broadcasting also; for all of these things must start within and for ourselves, and then be broadcast to all others upon Earth to do likewise. In the subject of freedom, is it the freedom of the mortal self we are talking about and wanting now, or is it the freedom of the spiritual Self? Let us begin to analyze that within our thoughts, our consciousness, our memory storehouse or computer bank of records of past thoughts and deeds. Do we want to continue to allow complete freedom for anything to come in, any thought; or any thought or action of ours in the past to be repeated? Or, rather, do we want to begin to restrict our thoughts, in the sense that we will give freedom to those which are thoughts from God or Spirit, from our spiritual Self, from our masters and teachers from higher planes; to allow them entry into our consciousness? At the same time, do we not want to deny those thoughts which come from within our own consciousness of the past or present which are not of a spiritual nature, which are antispiritual, which are against our own good and best interests; and also to deny freedom of entry, freedom of participation, freedom of action within our consciousness from those thoughts which would come from other people who are not of spiritual interest? So, in seeking freedom for ourselves, we must limit it to freedom for the spiritual Self and the spiritual thoughts within our own consciousness, and not give a blanket freedom to everything to come in and everything in our thoughts to be acted upon. We must begin to restrict the freedom within ourselves. Let us pursue further this topic of spiritual freedom within. Are we interested in doing all we want to, in the mortal sense, having that freedom in our mortal consciousness — which is the subconscious plus conscious aspect — in giving vent to all those things we want to have expressed there; in other words, to the things which we consciously believe are proper and are our spiritual path? Or do we instead want to give this complete spiritual freedom to the I Am, the Christ, the high Self within? We must make that decision and we must stick by it. I am sure you will say, as we do with you now: we want this to be the freedom of the high Self within to express through this mortal vehicle and consciousness now upon Earth. Regardless of what we might think in our conscious or subconscious aspects to be the freedom, the results, the actions or the thoughts for freedom for us, if these are not in the best interests of Spirit, of our high Self and of those on the higher planes, let that be the guiding line, let that be the line of demarcation. For we are interested only in the freedom of the spiritual Self to express through us in this life on Earth, or any other place we may be at any time, and to deny freedom to those thoughts and actions of the mortal consciousness which are contrary to that which the spiritual Self would express. Consider carefully what it is we really are asking for when we ask for freedom of all persons on Earth. It is the freedom of Spirit through our own I Am Self to act through us at all times and in all ways. Revised from Mark-Age Meditations audio broadcast #108A, released in July 1976. LISTEN TO PODCAST: Click on the “Play” button below to listen to the original recording of “Freedom” by El Morya/Mark. Photos: (1) El Morya/Mark, 1960, Mark-Age Archives. 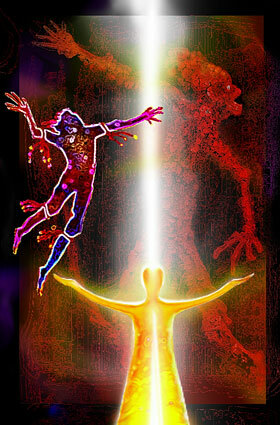 (2) Enlightened Cosmic Dance © by Hartmut Jager. June 29, 2018. DREAM. In a university class, my science professor, El Morya/Mark, conducted an exam. Fellow classmates and I were busy solving the various problems on the test. Going through the questions one by one, we also used scientific equipment in the lab to conduct experiments, applying the scientific principles we had learned in order to determine the correct answers. Not simply standing by, silently observing or monitoring the exam as a professor might, Mark was personally engaged with each of us, readily available for guidance and inspiration, encouraging us to work out the right solutions to the test questions. I awoke before I finished the exam. Interpretation: As with my dream of June 27th, El Morya/Mark is working closely with me, and with all of his metaphysical students on the astral and the physical planes, to encourage us as we work through life’s challenges in this interdimensional University of Life. Our incarnations are living laboratories. We are tested, of course, to apply the spiritual-scientific principles we have learned in our course work, in order to obtain the proper results for success in the Second Coming program. Our hierarchal teachers, such as El Morya and Sananda and so many others, are not aloof from us at all. They are not just monitoring us but are directly assisting us each step of the way. Through the very thin veil separating dimensions, they are here for us, closer than our own breath, providing personal inspiration and counsel. 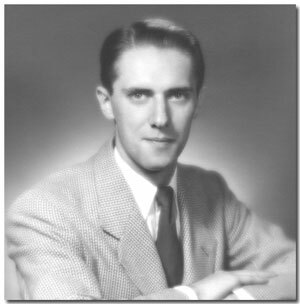 Note: In his recent life on Earth as Charles Boyd Gentzel (1922–1981), El Morya/Mark originally had trained as a scientist, and had practical laboratory experience. 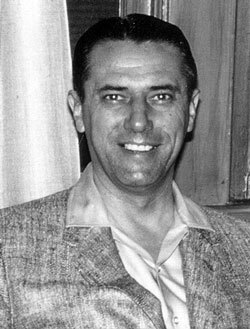 He graduated from Cornell University in 1949 with an A.B. in Chemistry (and with a minor in Economics). But, due to a lack of job opportunities at the time, he pursued instead a career in business prior to his spiritual awakening and the eventual cofounding of Mark-Age. Photo: El Morya/Mark, 1967, Mark-Age Archives. June 27, 2018. DREAM. El Morya/Mark and I shared an office together. My smaller desk stood perpendicular off to the side of his large executive desk. We sat at his desk in pleasant, friendly conversation. Taking out separate small cases, he showed me two army medals he had received upon his return to the United States from World War II. Interpretation: When I awoke, I basked in the serenity of my communion with the First Ray master. Sharing an office indicates my close bond with El Morya as he guides me in my executive functions at Mark-Age. His two army medals perhaps symbolize and honor his service and sacrifice in the Battle of Armageddon in these Latter Days, and the firm foundation he has laid down for all on the physical plane who are connected with his legacy in the Second Coming program. This statement, which I have always taken to heart, remains uppermost in my mind as I perform my hierarchal functions at Mark-Age. Often I call upon El Morya, as well as Sananda and Nada, for counsel. Photo: El Morya/Mark, 1948, Mark-Age Archives. May 30, 2018. DREAM. Sananda contacted me and channeled a major hierarchal communication. The main themes he addressed were Fifth Ray healing, spiritual breakthroughs, and the rending of the veil between dimensions. The powerful, all-pervading energy of the Master’s transmission transformed my being. The channeling, which was deemed to be “automatically transmitted,” was automatically transcribed directly into a printer simultaneously as I received it. I later inserted this annotation in the printed transcription. Soon afterward, while I was still adjusting to the forceful impact of the message and the acceleration of my vibrational frequency, El Morya/Mark and Nada-Yolanda arrived at Mark-Age headquarters to prepare for our Hierarchal Board meditation. The rest of the staff also gathered. 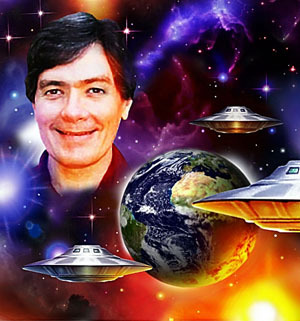 Enthusiastically I shared with everyone the good news of the landmark channeling I’d just received from Sananda. Interpretation: From the inner planes Sananda signals imminent spiritual breakthroughs in the rending of the veil separating man of Earth from greater awareness of his Christ consciousness. The focus on Fifth Ray healing invokes a higher realignment and rebalancing of our four lower bodies — mental, emotional, astral, physical — with the perfect light-body form of our I Am Self. 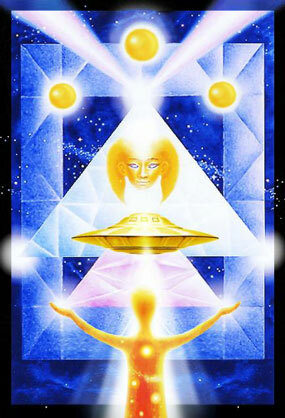 The spiritual Hierarchy is injecting new energies for Fifth Ray unification, synthesis and integration. As leader of the Second Coming program, Sananda/Jesus points the way forward for all on Earth who are striving for greater balance and new breakthroughs in consciousness. Fresh opportunities for spiritual growth are available as we close out the energy influx of the spring cycle in the next several weeks, prior to the summer solstice on June 21st. Through his vast network of light workers on the physical and astral planes — his grounding rods of light — Sananda’s hierarchal commands are “automatically transmitted” to all in mass consciousness. In conjunction with Sananda, El Morya and Nada continue to lead the Mark-Age staff and all I Am Nation citizens in our hierarchal mission to rend the veil between dimensions. Together, as an interdimensional team, we are establishing a new heaven on a new Earth for the Aquarian Age. 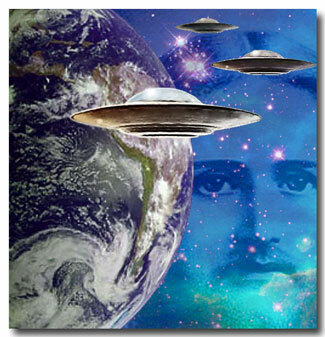 Photo: Jesus in Space, collage by author (Earth and starfield by NASA; UFOs © by Hartmut Jager). One of my favorite metaphysical tomes has recently been updated and re-released in a shiny, new and cosmic blue edition! How To Do All Things is a tightly knit tome and all the information it presents simultaneously rests firmly upon and greatly expands every other piece of information contained therein. This hologram of a book is well worth reading, from cover to cover, for it gifts the reader with practical and time-tested tools for recognizing his own divine nature, establishing a working relationship with Spirit Itself, and becoming an active agent in the unfolding of the spiritual Hierarchy’s divine plan for humanity. The Mark Age was the period between 1960 to 2000, a forty-year span of time that helped wrap up the old Age of Pisces and prepare humanity for living in the new Aquarian Age. This period of transition, turbulence and transmutation assisted us with expanding our awareness much deeper into fourth dimensional levels of perception. We currently find ourselves experiencing the rough aftermath of this cosmic disruption. 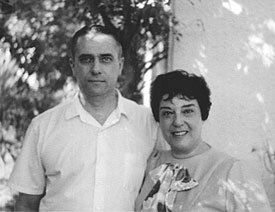 Nada-Yolanda and El Morya, both cosmic beings well known to ascensionists, incarnated as Mark-Age cofounders Charles Boyd Gentzel (El Morya/Mark Age) and Pauline Sharpe (Nada-Yolanda) to anchor Unit #7 of the Hierarchal Board here on Gaia expressly for this purpose. Though Mark and Yolanda of the Sun are no longer with us, their legacy remains. And part of their legacy is this slender yet highly concentrated spiritual guidebook. 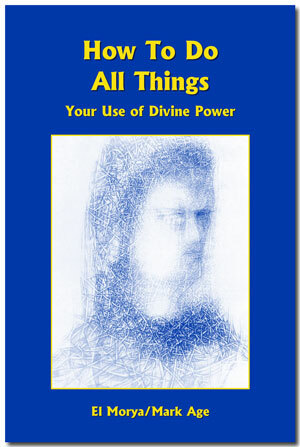 How To Do All Things was penned by El Morya/Mark Age. It begins by thoroughly orientating the seeker to the purpose, history and organizational structure of Mark-Age. Seven is a sacred and significant number to Unit #7 of the Hierarchal Board, as it is to the Olympian Starseeds Initiative, so it is no surprise that the first leg of your journey begins with “Seven Steps for Gaining Full Use of Divine Power.” Partnership with the All is the cornerstone of the Mark-Age path, and the implications of your decision to partner are examined and explained from a variety of angles and vantage points. The third section of this four-part text by Mark-Age consists of “50 How-To’s,” the first of which is “How To Do All Things.” This is actually my favorite part of the book, as it contains simple suggestions and practical techniques for applying all that you’ve learned in your daily life. Section IV, “How To Pray,” is only six pages long, but it provides you with everything you need to turbo-charge your communications with the One beyond all multiplicities. The text concludes with suggestions on what to study next and a handy Glossary. How To Do All Things certainly delivers on the promise of its premise, and though totally self-contained it serves as an excellent introduction to the Mark-Age revelations. I tip my metaphysical hat to Phillel (Philip J. Jacobs) for gifting us with this new edition of How To Do All Things and for keeping the light of Mark-Age alive and shining bright during this tumultuous time of transition. Photos: (1) How To Do All Things (cover jacket), © 2018 by Mark-Age, Inc. (2) El Morya/Mark Age, 1966, Mark-Age Archives. DURING AN INNER PLANE COMMUNION with Sananda at our Hierarchal Board meditation on April 9, 1975, he conveyed to me that we, the light workers in these Latter Days, should help “create a symphonic harmony” in our spiritual demonstrations on Earth. I looked up those words in our dictionary to be sure I had not missed any nuance of their meanings. Symphony: A large and complex composition for a full orchestra utilizing every type of musical instrument. Harmony: Marked by accord either in sentiments or in actions or both. A pleasing arrangement of all parts. Internal calm. The dictionary says every instrument is used in a symphony if it is needed. Therefore, every one of us instruments or agents of Spirit can be used and is equally important to the whole, even if the amount of time and attention given is not equal. The purpose is for either a feeling or an activity, or both, that pleases all parts and creates internal calm. Balance, calm, integration, harmony, unity, oneness: are not all these the goals for which we are striving in our demonstration of loving God and loving one another? Sananda indicated there are at least seven ways in which we are to apply symphonic harmony. FIRST: There are seven major and five minor keys in creating symphonic harmony. SECOND: Within each individual person, the major and the minor chakra centers must be harmonized for full Christ consciousness. THIRD: There are other beings, those also in I Am consciousness, with whom we must synchronize in symphonic harmony during the time we play our individual roles or parts on the Earth planet. FOURTH: There are all the other elements and life forms on the planet with whom we are in constant exchange and contact, and who likewise consciously or unconsciously must be harmonized into our vibratory frequencies in order to play out the symphony of Earth. FIFTH: Our own past histories, our personal soul records, plus the past experiences of mankind as a whole on Earth, must come into symphonic harmony before this era is completed. That is part of what the Latter Days are all about: discarding that which has been discordant and inharmonious to man’s progress on Earth, and replaying and solidifying those notes which add to his progress and spiritual existence. SIXTH: We cannot neglect those of other dimensions, planes or planets who try to communicate with us of Earth or who aid us as guides and guardians in our soul progress here. They are part of the symphonic harmony through whom we play our particular instruments. Perhaps they represent only one note in all our time here. On the other hand, they might be responsible for an entire theme in the present orchestration that is resounding throughout the Earth. SEVENTH: The last concept Sananda presented to me during this meditation, but certainly not the last in the series of cosmic principles to which this theme can be applied, is that in developing a symphonic harmony we must give great attention, respect and appreciation to the conductor or the director, who at this moment in Earth’s history has to control or to direct all the parts, all the themes, all the instruments playing individually and thinking independently. Some of them unfortunately consider themselves stars or separate from the whole orchestration. It is the director of the orchestra who must coordinate and hold together each independent instrument, bringing in his or her note or theme of the composition at just the right time in order not to upset the desired harmony of this symphony. It is the conductor’s responsibility to represent the composer’s desired overall intention. And although each instrumentalist, whether he plays but one dramatic note or carries an entire theme throughout all movements of the symphony, truly may comprehend the composer’s intentions and the subtle nuances of the symphony being played, only the chosen conductor for that particular performance may make the final and decisive decisions. An orchestra, an army, a solar system cannot function with each of its parts determining separately and independently when to play, how loudly to play, and with what other instruments it is to play during the composition. Indeed, it was almost dizzying for all of us on the staff to contemplate Sananda’s presentation at that meditation. And I have only presented to you seven of the major highlights here for consideration. He indicated to us that each of the seven points in itself is important. But to try to hold all seven simultaneously, and to apply them equally with due appreciation for them, is beyond mortal capacity. This, he said, is a lesson in cosmic consciousness and Christ mastership, so all can see and can appreciate that there is more to I Am consciousness than just getting up to, reaching the outer perimeters of, that awareness. What is fascinating about this is the information that any one of the parts or instruments can take on the characteristics of, or can play the tune for, whatever elemental change is necessary. You might use an analogy like this: If you were a master musician in an orchestra, and one of the major players were indisposed or dropped out, you would be able to take up his instrument and play his part temporarily until he recovered or was replaced. So it seems Spirit, in Its infinite variety, can work through individuals or through the elements which It originally created. This information had been given to us previously through some channeled discourses, which are published in our book MAPP* to Aquarius: *Mark Age Period and Program. On October 9, 1963, in “Interchange of Hierarchal Board Functions,” Sananda stated: “Under the governmental system which we follow in our particular solar system, a mastership group known sometimes as the White Lodge, the White Brotherhood, the Ascended Masters Council — name it what you will, the Hierarchal Board for this solar system — one works as any other would work, interchanging roles and functions, placing themselves where there can be representation of consciousness. . . .
“An ascended master or a member of the Hierarchal Board of this solar system is equally responsible to each other one who has achieved that level of consciousness, that role, that designation; or that honor, if you so choose. It therefore becomes an accepted fact and pleasure for one to intercede for another. Where one master works, any other master may work, if so decreed and desired by the spiritual intunement within. Again Sananda spoke to us five years later, on September 24, 1968. In “Let the Christs Express in You,” he channeled: “In the etheric, as you have been told on many occasions, any master can utilize the functions and abilities of any other master and his disciples, provided it is according to the will and the proper development of all concerned. 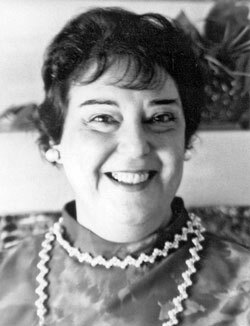 “So, since we are accustomed to passing in and through each other’s environment and responsibilities, lending to each other whatever is required to fulfill a certain duty or participation in the program of Earth evolvement, we expect to do the same on the lower realms; and in fact are doing so many times in many ways. But what we have not given and have not asserted ourselves to prior to this [communication] is that there are many who are to become conscious of this acceleration, this transmutation and these multiple faculties. . . . Thus it is that our transmutation becomes more and more accelerated. In your meditations, think in how many ways you can create symphonic harmony in yourself, in your relationships, in your environment, and for all the species who are involved in the planet during these end days, going from third dimensional frequency into fourth dimensional light or spiritual consciousness. Revised from Mark-Age Meditations audio broadcast #80A, released in June 1975. Photos: (1) Harmonic Alignment © by Hartmut Jager. 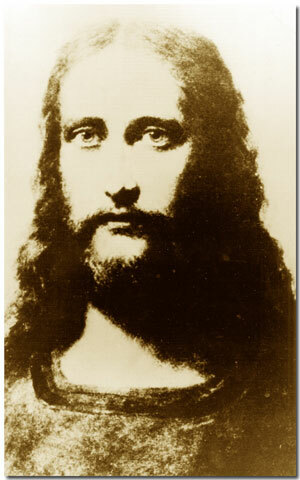 (2) Sananda/Jesus the Christ, artist unknown. (3) Nada-Yolanda, 1972, Mark-Age Archives. 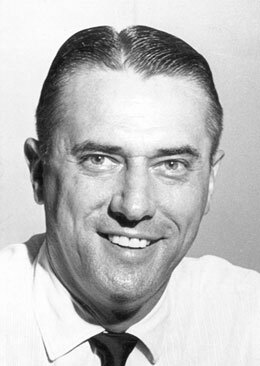 BROADCASTERS AND ALL OTHER WORKERS OF LIGHT here and on other planes, the subject of this broadcast, “Demand the Truth,” is one that is of importance to us now and for the rest of the program; as a matter of fact, throughout eternity. But it won’t be the problem in other realms, in higher planes that it has been and is now on Earth. This broadcast is a most important one. Let us explore a few of the ways in which we can work effectively as light workers, seekers and workers in truth to bring this into mass consciousness, to make it effective on Earth at this time. First of all, in speaking of demanding the truth, we have to realize this applies to us also. 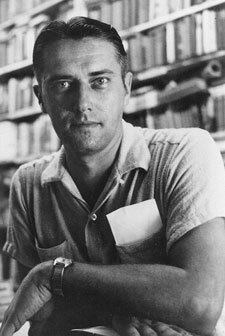 In this work, we are not going to demand that everyone tell every intimate truth about himself or herself, present or past; whatever he or she has been thinking or doing. But rather, we demand that the truth of information, the truth of all important things that are to be available to man for the revelations in this Latter-Day period be given out and accepted by man of Earth, so he can be raised into a higher consciousness and into the fourth dimensional spiritual frequency vibration. Thus he will know the truth he has to work with, and will not have to base his life, thoughts, actions, everything he thinks and does, on errors or half-truths. Therefore, let’s not be afraid that in demanding the truth of all others we are going to have to bare all of our secrets. This is not the point, any more than we would want others to do the same thing; for each person must have privacy. We should not do anything of major moment that we would be that much ashamed of, were it revealed. Nevertheless, it is not the purpose to have all personal matters revealed. Therefore, in what is it that we want to demand truth? First of all, be ready at all times to admit to the truth in important things in your own life. This means, first of all, to admit the truth to yourself, the things you know are true. The things on which you want others to base their thoughts and actions to, with and for you must be truth. Therefore, you must know within your consciousness, within your thinking, within your actions what is truth. Demand the truth of yourself. Let us put that Self with a capital S; which means it is the truth the I Am Self within knows that is to be made manifest within your life. It is true that all of us have done things in this life and in prior lives that we wish we had not done, or that we would not want revealed, or something of that nature. But sooner or later, as we well know — those of us in the light work who are unfolding into I Am citizens — we must face up to these things we have done wrong or which are not the truth, and get on the right road. Once we have done that it is easy, much easier than is expected by us when we are on the path of error. Let us keep that same thing in mind and project it out to others. It is not all that hard to admit the truth and then to accept it and then to work with it. So, please, all of you in the mass consciousness, give up the idea that there is some tremendous loss of pride, or that you are going to suffer great consequences if you do give the truth at all times and live it. Demand the truth of yourself, demand the truth of others, those of you who have family, friends, who have influence in politics, business, anything of any nature. Demand the truth of yourself, demand the truth of all other persons, at all times and in all things. Let us take a few examples of this; just a few because, as in all of these broadcasts, these are only stimuli to help you do your own thinking and individual broadcasting. We do not believe in doing all of these things by rote in Mark-Age. You never will have a series of decrees where you have to decree something three times or a hundred times, loudly and emphatically. Those really are worthless and meaningless; have no value themselves. Rather, we want you to become intuned with your own high Self on topics which not only we provide for you to think about and work with but which come to you from your own high Self consciousness to project into the mass consciousness from these broadcasts. So, let us take a few examples of demanding the truth. We all, unfortunately, have had situations where friends, neighbors, so-called enemies, other people tell stories about us that are not true or are only partially true, or that tend to make us look in a bad light and to make them look in a good light, no matter what the purpose, be it politics, business, social prominence or gain, envy, jealousy, any of these things. Demand the truth. Demand that the people who are talking about you in the wrong way learn the truth, understand the truth, accept the truth, and therefore do not have these false concepts; at least not based on error information which they are giving out or are receiving from other people. Demand the truth. Obviously, we cannot demand the truth in person in this and other situations I will mention, and others about which you will think. That is, it is not always good to go up to a person and demand that he tell you the truth about himself or about you or about what he is doing. There are times when this has to be done. But, as in all of our work, we can do so much on the inner planes by mentally sending forth this visualization, this decree that what we want to have done will be done; or, what Spirit wants done, which could be better or something different. Nevertheless, we have to make the projection, to put it into effect. We can do this mentally quite often. We should demand that someone who is telling false stories about us, or who is accepting false stories about us, know the truth. We should demand the truth in his or her thinking. Let us begin this in our own lives and see if it will make a difference. When we demand the truth of someone who has been spreading malicious stories about us or who has been accepting such, we must be willing to give those people the opportunity to make amends in their thinking and actions. Let us just turn them off completely thereafter if they do not do so. Whenever we work in such things as this, let us keep ourselves open to the side results, the additional things that would come into play that we could think about, that would relate to whatever we are doing. This would expand our consciousness and our thinking, and make us more aware of what we are doing in all things, give us a much more expanded vision of all these matters. Let us project this out into the world at large; and the things we would like to see, things done much better, where we demand the truth be given to all people. ADVERTISING: Let us start with advertising for products. No matter what form of media is presented to us or in what way it is presented, let us demand the truth. We are all too familiar with, unfortunately — though probably not well enough aware in all things — how the truth is bent or distorted or half-truths are given to us in much advertising. Some particular medicine or drug is supposed to be the best of all, or to be more effective than others, when in reality many times it is no different or different only in a minor way that is of no real value. But it is being sold to us as though it is the greatest thing there is. Demand the truth. There is nothing that says people have to sell products or make fortunes by spreading that which is error or by deliberately hiding the truth. Tell the truth, demand the truth, in all these things. POLITICS: We certainly are tired of being told by so many politicians one thing — no matter what country it might be in or what form of government — and then finding out they are telling us falsehoods. They are representing us. Let us demand the truth in politics. BUSINESS & NEWS: Demand the truth in every aspect of business. Demand the truth in the news that is given to us, no matter what way or in what media or for what purpose. Demand the truth. SPIRITUAL MATTERS: Let us demand the truth for people of Earth in religion, in spiritual matters. No more shall man of Earth be submitted to that which is error or to that which is part truth, by one religion claiming it is the only one, the only method of salvation or of reaching God, when they really do not know too much of what they are speaking. Demand that the leaders of religion be truthful in what they are teaching people. ALL THINGS: Look about you in your daily activities. Look about you in whatever you are thinking or are being subjected to in any way. Let your imagination, your vision extend throughout all activities of mankind on Earth. Let us demand the truth; for we are in the Latter Days when all things shall be revealed to man of Earth that are necessary for each one individually and for us collectively as the race of man on Earth to come into the higher consciousness. Demand the truth, and the truth shall set us free. Revised from Mark-Age Meditations audio broadcast #114B, released in October 1976. The brand-new, fifth edition of El Morya/Mark’s metaphysical masterpiece, How To Do All Things, is now available! See details here. LISTEN TO PODCAST: Click on the “Play” button below to listen to the original recording of “Demand the Truth” by El Morya/Mark. 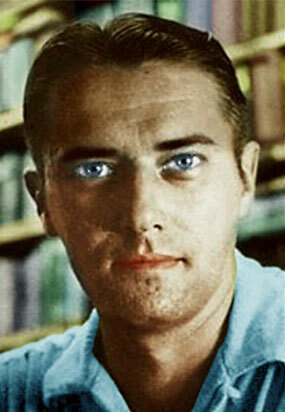 Photos: (1) El Morya/Mark (colorized), 1960, Mark-Age Archives. (2) El Morya/Mark and Nada-Yolanda, 1968, Mark-Age Archives. The joy of giving regularly a percentage of your income to support a spiritual cause, referred to as tithing (literally, to give a tenth part), is based on sound spiritual principle: as you give selflessly, so you receive freely of Spirit’s unlimited bounty to fulfill all needs for your soul mission on Earth. Spiritual masters throughout the ages have taught the divine law of give-and-take. The key? One must give first in order to receive. As you open wide your arms to serve others outside yourself, including with financial supply, you unlock Spirit’s magnetic floodgates! The divine love you radiate, through giving, attracts all supply that you, too, personally need as a Christed being. At Mark-Age, we are grateful that many of you faithfully apply this principle each month. Your tax-deductible love offerings of $25, $50, $100, or more, sustain our physical operation, just as your prayers help sustain our spiritual mission to prepare all on Earth for the Second Coming. The two actions, physical and spiritual, go hand in hand. Both maintain the free energy circulation — the vital lifeblood — that is essential to externalize the I Am Nation on Earth prior to Sananda/Jesus’ return. If you have not yet discovered the magnificent key of tithing to support spiritual works, we encourage you try an experiment. See for yourself. Freely give what you can. Not only will you find immeasurable joy in knowing that you are serving Sananda’s needs for the I Am Nation — helping to keep his work alive on Earth — but you also will unlock wondrous new manifestations in your personal service to God and humanity. Give first, then receive: that is the divine law. Put your divine love into action today! God blesses you, and so do we! To donate online: Go to our Mark-Age website here. Scroll down to the “Donations” section at the bottom of the page. Click on the “Donate” button, and PayPal will guide you through the secure transaction. To donate by snail-mail: Send check or money order, payable only in US funds, to: Mark-Age, Inc., P.O. Box 10, Pioneer, TN 37847, USA. All donations are U.S. income tax deductible (EIN 59-1022626). 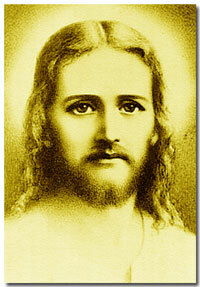 Photo: Sananda/Jesus the Christ (colorized), Mark-Age Archives.